In general, do you find presidential memoirs interesting or uninteresting? The statistic presents information on the level of interest in presidential memoirs in the United States in 2017. 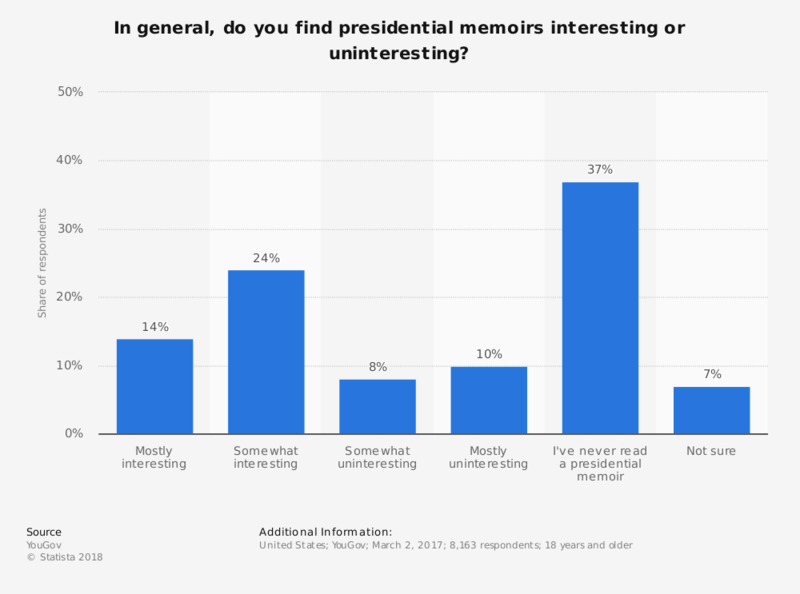 According to the survey, 24 percent of respondents stated that they find presidential memoirs somewhat interesting. Have your children ever listened to an audiobook? Which recent U.S. president has the news media been toughest on? How do you think each of the following US Presidents will go down in history?